Charter a private flight to Santa Monica, a beachfront city in western Los Angeles County. Whether flying private for business or to relax on the beach and stroll along the famous Pier, we can help arrange the right aircraft and flight itinerary that best suit your needs. Los Angeles Private Jets believes in providing private flyers with a one-on-one consultative service experience that exceeds every expectation. We understand that your time, privacy, flight preferences and most of all, safety, are all extremely important. Our Santa Monica Jet Charter representatives are available for you by phone and email 24 hours a day, 7 days a week. When using our private aviation service, you can expect quick response times and an easy, hassle-free booking process. 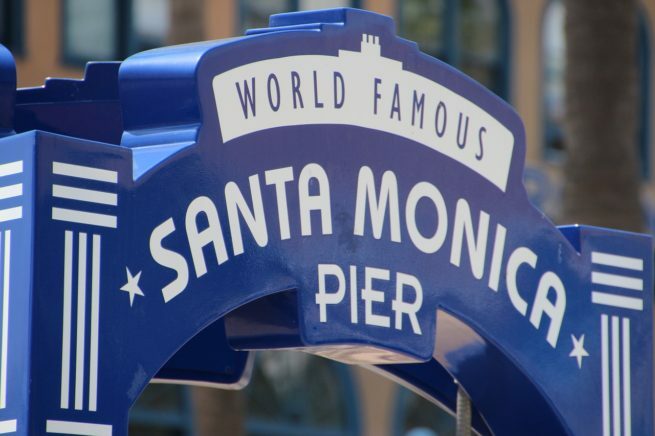 Request a quote or call us to arrange your private flight to Santa Monica, California. Santa Monica is a luxurious and very upscale beachside community just outside of downtown Los Angeles. The city has a lot to offer private luxury jet travelers, from gorgeous beaches and posh restaurants, to a variety of hotels and resorts for luxury getaways, business trips and special events. The following list of our top choices was created based on factors such as passenger feedback, location, amenities and online reviews. Once you arrive in California via luxury private jet, our Santa Monica Private Jets service brokers can also arrange ground transportation to/from the hotel of your choice. Santa Monica was originally a beach resort town. At the turn of the 20th century, the in-the-know and affluent crowd frequented the town for its idyllic scenery and secluded nature. Hoping to increase traffic through the town, the railroad owners created the amusement park you see on the Pier today; now, it’s one of the most visited cities on the west coast. Better described as a town than as a city, Marina Del Rey is the largest small yacht harbor in the entire world, and has the capacity to host over 5,000 vessels. Sport fishing, kayaking, and whale watching are the most popular activities in this seaside town. Several gourmet restaurants can be found throughout the waterfront, and they all offer the freshest seafood to be found anywhere. Just south of Los Angeles International Airport, El Segundo was originally a refinery town. Growing along with the refinery, the city has developed into a popular tourist destination and thriving residential town. One half of the city looks like a classic 50’s beach town, while the other is a bustling business district. Aside from the physical town itself, there is a special animal that’s only found in El Segundo: the blue butterfly. Now endangered, you may get lucky and see a few. Inglewood is a primarily residential town outside of Los Angeles. Though quaint and unassuming, Inglewood still has some attractions to offer tourists. Inglewood Park Cemetery has some of the most beautiful chapels in the state, and is also one of the oldest cemeteries. There are also concerts held in the enormous Los Angeles Forum stadium. So take your time to visit this incredibly affluent and progressive town after booking your private flight with Los Angeles Private Jets! A chance to take a look at early days of photography and other great artworks, but the real attraction is the dark room. In this room, you can turn a large wheel that part of the city will be projected inside the room, as if you were inside a large camera. Many people have enjoyed their visit and were glad they made the stop. Hawthorne is a city that lies south of Los Angeles proper, but is still in Los Angeles County. Hawthorne’s claim to fame is that it houses the world famous SpaceX facility. Unfortunately, tours at the facility can only be arranged if you know someone that works in the facility. In the event that you don’t have someone to get you into SpaceX, Hawthorne does have a modest downtown area with some picturesque bars and restaurants on the beach. (HHR) Hawthorne Municipal Airport can be used for private flights in the Los Angeles area. Los Angeles Private Jets utilizes the following airport to fly clients privately to/from Santa Monica, California and neighboring areas. Request a Quote or give us a call at 1-888-987-5387 to speak with one of our Santa Monica Private Jet Charter agents for your next luxury vacation, business trip, or special event.